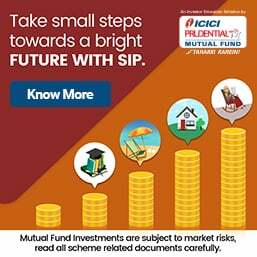 In a damage-control exercise, which also helps reduce the magnitude of the IL&FS (Infrastructure Leasing & Financial Services) crisis, the Gujarat government has decided to step in and buy the 50% stake that the beleaguered company held in its prestigious GIFT City (Gujarat International Finance Tec-City) project. Gujarat chief minister (CM) Vijay Rupani revealed this in a series of interviews in Mumbai, to promote Gujarat as a business destination. Ironically, this smart city project to develop an international financial centre was first offered to Maharashtra as a concept, by financial expert DC Anjaria; but the state failed to respond. Narendra Modi, as the CM of Gujarat, snapped up the idea and got it going. GIFT City is located 12km from Ahmedabad International Airport but has been making slow progress because of the mistake—in hindsight—of selecting IL&FS as an equal partner with the Gujarat Urban Development Company Limited (GUDCOL). The Rs70,000-crore project is a ‘smart’ city with high-quality physical infrastructure and includes an international financial services centre (IFSC) structured as special economic zone and global financial hub. While the CM admitted to an ‘in-principle’ decision to acquire the stake, it raises many issues. From the perspective of resolving the IL&FS mess, the big question is: What price will Gujarat pay for the 50% stake? That depends on several factors. If one were to go by the calculations of Mr Anjaria, who blew the whistle on the shocking gold-plating of this project, the Gujarat government could probably demand control of GIFT City without paying anything at all. Mr Anjaria reckons that IL&FS owes the government several thousand crores of rupees, even after IL&FS’s entities pocketed multiple fees and charges, in what has been its signature modus operandi. Also, the entire project is built on land that belongs to the people of Gujarat. 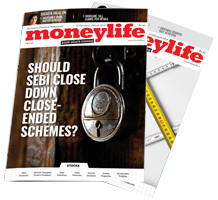 Moneylife was the first to expose how the whole project was virtually a gift to IL&FS, in a one-sided deal. Since the issue is now before the bankruptcy court, Gujarat may have to cough up more money to acquire IL&FS’s stake. It will be a question of who else is interested (which is unlikely) and how it is pitched to the bankruptcy court and creditors of IL&FS. For instance, if Gujarat can show that it will salvage the project and make it viable again, most creditors will support the acquisition. The amount shelled out for acquiring the stake will be the cost of putting complicit bureaucrats in charge who did not protect the state’s interest. 1. It needs to start by separating infrastructure development (find a new partner to replace IL&FS) from IFSC. It should also take back control of some of the land rights and development rights that it has relinquished to IL&FS, before it finds a new partner. 2. If the IL&FS board could be sacked, one wonders what is stopping the Gujarat government from doing the same with the messed-up GIFT City’s as well as IFSC’s boards and put in place a transparent and credible management. This is especially important in view of some serious allegations made by Mr Anjaria in a public interest litigation (PIL), after being removed as independent director and head of GIFT City’s audit committee for refusing to ratify questionable decisions of the board. 3. If the Gujarat government intends to attract global investment, it needs to address the issues raised by Mr Anjaria’s PIL and persuade him to withdraw it and re-start on a clean slate. 4. Mr Anjaria has asked for an investigation into the Gift City’s contracts by the Serious Frauds Investigation Office (SFIO). While the Central government has addressed this by ordering a wide-ranging SFIO investigation into IL&FS, it has to demonstrate its seriousness by changing the Gift City management. The PIL has some serious charges, with evidence, against Dipesh Shah, chairman of IFSC, including falsification of minutes of meetings. Ajay Pandey, managing director of GIFT City, also remains in place in spite of the false and defamatory allegations made against Mr Anjaria in an advertorial in the Business Standard. (The newspaper later published a long rejoinder by Mr Anjaria). 5. GIFT City and IFSC need to be brought under the ambit of the Comptroller and Auditor General (CAG) of India and the Right to Information Act (RTI), since there is a substantial investment by the state in terms of land value. This was deliberately obfuscated in the 50:50 joint venture (JV) with IL&FS. 6. In May 2012, the state government received an extensive report from GIFT City’s audit committee, documenting irregularities and defaults by IL&FS’s entities. Subsequently, more facts and details have been provided to the government by gathering information under RTI. All these must be handed over to the SFIO for its investigation and action. Here are some details that were part of these submissions. 7. IL&FS was initially sold 7.77 million sq ft of development rights at a discount to the price set by the board of directors for other investors. The value was estimated at Rs550 crore and 50% of the amount (or Rs225crore) had not been paid until 2016. This is a direct default of GIFT City to the state government. How IL&FS persuaded the government to sell its development rights, when it was already the promoter, manager and developer of the project, is itself an issue needs SFIO investigation, since it is a misappropriation of public funds. 8. GIFT City’s deal with the Gujarat government was that land would be leased to it at Re1/ acre for 99 years. The revenue department, through a formal resolution, had ensured that land-related profits will accrue to the state, if development rights granted by it were sold at a commercial price. Over 16 million sq ft of development rights have been sold by Gift City/IL&FS at commercial rates (over Rs5,000/sq ft), amounting to at least Rs8,000 crore. A part of this profit has to be returned to the Gujarat government. An RTI query reveals that this had not been paid at least until 2016, and is unlikely to have been paid afterwards, when IL&FS was already facing liquidity issues. 9. As per the JV contract, GIFT City itself has to pay the Gujarat government 1% of the income from sale of development rights as a premium. Since the value of development rights sold are approximately Rs8,000 crore, payment of Rs80 crore or so is due; this has not been paid. Clearly, the acquisition of the IL&FS’s stake in Gift City is not as simple as it seems. The real challenge is to clean it up and demonstrate that this global smart city and international financial centre are viable propositions. Otherwise, it will only be a bailout of IL&FS paid for by the people of Gujarat. Why is anyone surprised? This is exactly the kind of crony capitalism that was practised under modi when he was Gujarat's CM. Now he has bought the same business principle to the whole country. No wonder the mess we are in. Soon all the PSUs will be sold to modi's capitalist friends for a song and the public wealth will be gone to dust.